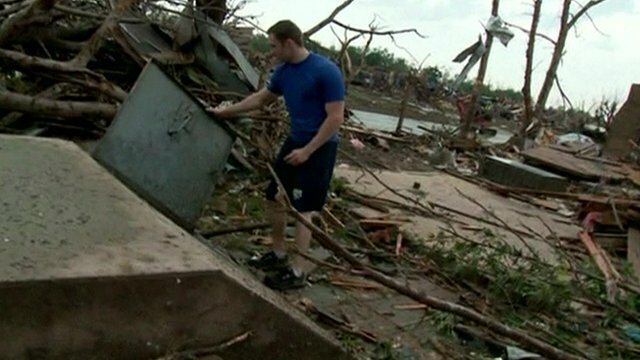 Search for US tornado survivors Jump to media player At least 24 people are confirmed dead, including seven children, and many are missing after a tornado tore through Oklahoma City, US officials say. 'We thought we were dead' Jump to media player Ricky Stover, who lives near Oklahoma City, locked his cellar door as a huge tornado tore apart his home. 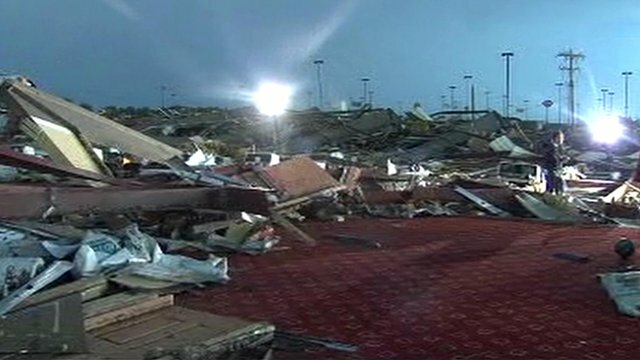 Collapsed bowling alley amid rubble Jump to media player Buildings have been flattened and cars have been crushed in the town of Moore, Oklahoma, which was worst hit by the tornado. 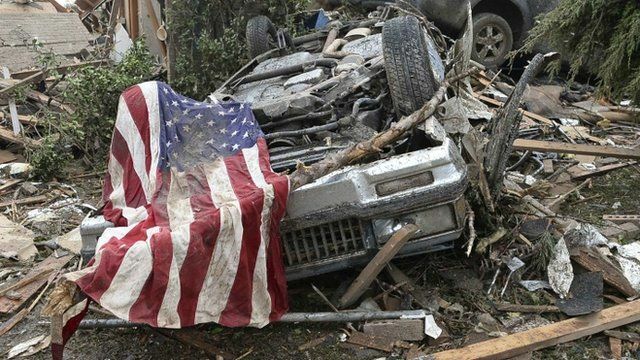 'Heartbreak' at tornado school collapse Jump to media player Emergency workers in the US are continuing to search for survivors of the tornado that tore through a suburb of Oklahoma City on Monday. 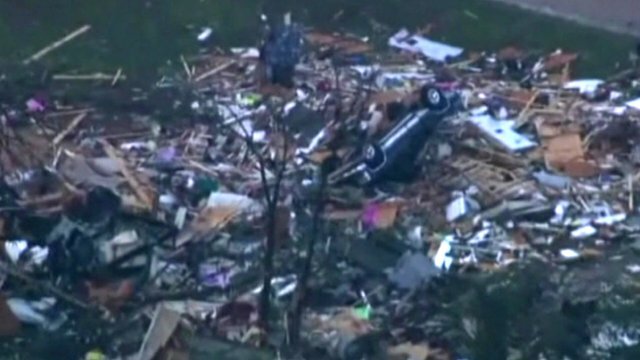 'Complete devastation' after tornado Jump to media player A meteorologist in Oklahoma says a gigantic tornado that ripped through a suburb of Oklahoma City left "complete devastation" in its wake. 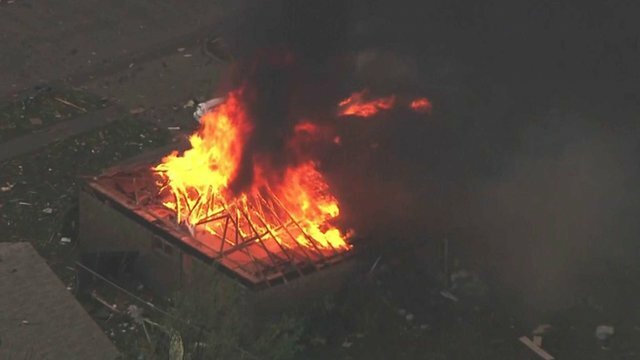 Huge tornado rips through Oklahoma Jump to media player A gigantic tornado has ripped through a suburb of Oklahoma City, on the second day in a row the Midwestern state of Oklahoma has been slammed by twisters. 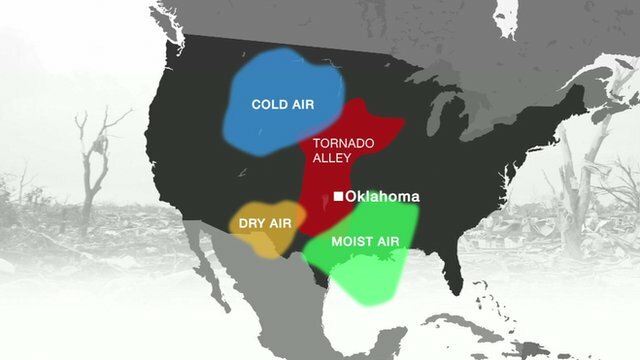 Oklahoma ravaged by tornadoes Jump to media player At least one person has died and several others were injured in a series of tornadoes that have torn through the US state of Oklahoma. 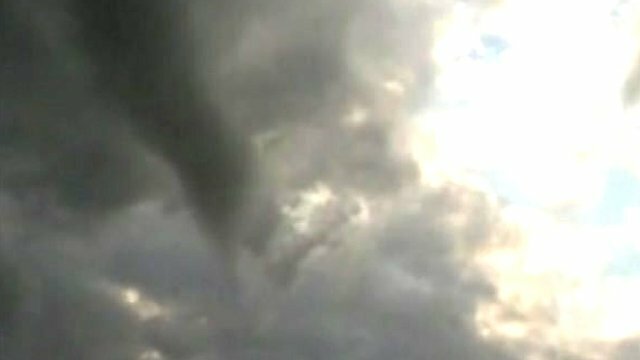 Storm chaser captures Texas tornado Jump to media player A tornado has ripped through a town in the US state of Texas, resulting in six deaths, officials say. 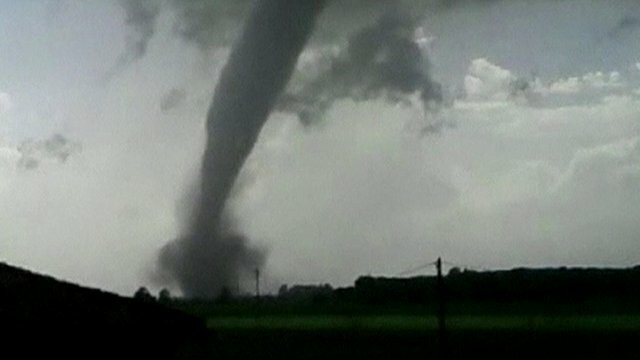 Twister wreaks havoc in northern Italy Jump to media player A tornado has battered northern Italy, causing millions of dollars worth of damage in two provinces near Bologna, and injuring at least 12 people. 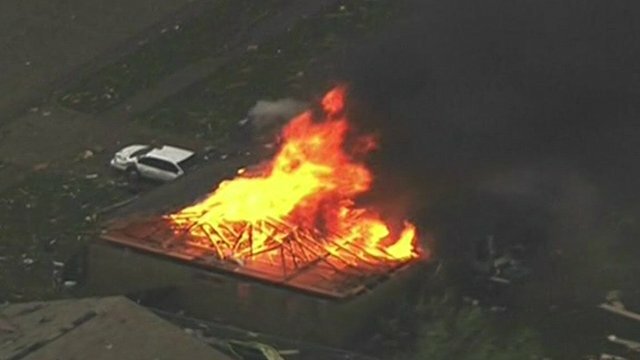 At least 24 people are confirmed dead, including nine children, and many are missing after a tornado tore through Oklahoma City on Monday, US officials say. 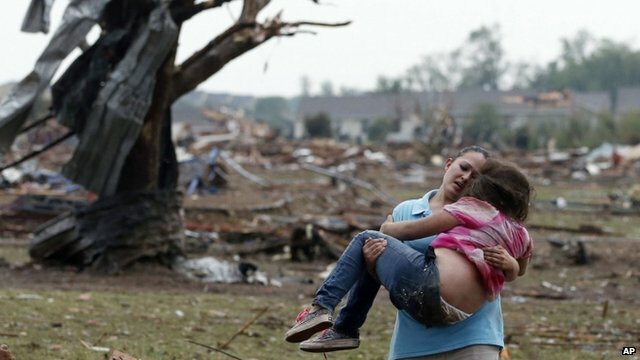 Rescue teams in Oklahoma city are still searching for survivors after the tornado, which was two miles in width, roared through a suburb of the city on Monday afternoon, flattening everything in its path. Worst hit was Moore, south of the city, where neighbourhoods were flattened and schools destroyed by winds of up to 200mph (320km/h).